(Website) will NOT deal or provide any services or products to any of OFAC (Office of Foregin Assets Control) sanctions countries in accordance with the law of UAE. Once you have placed your order through the Website, you will receive an Acknowledgment of Order via an email that will mention the details of your order. This acknowledgement is not an acceptance of your order. Following the transmission of the Acknowledgment of Order, boxstory will conduct its usual security and anti-fraud checks before processing your order. Please carefully review these Conditions of Sale upon receipt. Upon shipment of your order, following completion by boxstory of its antifraud and security checks, boxstory will send you by email a written Confirmation of Order. The Confirmation of Order constitutes the acceptance of your order by boxstory and indicates the existence of a binding sales contract. To use some of the services or features made available to you on this Site you will need to register, when you register you are required to provide information about yourself that is true, accurate, current, and complete in all respects. Should any of your registration information change, please notify us immediately at support@boxstory.ae We may also change registration requirements from time to time. The account password you provide should be unique and kept secure, and you must notify us immediately of any breach of security or unauthorized use of your account. In order to make purchases on the Site you will be required to provide your personal details, in particular, your real name, phone number, e-mail address and other requested information as indicated. Furthermore, you will be required to provide payment details that you represent and warrant are both valid and correct and you confirm that you are the person referred to in the Billing information provided. 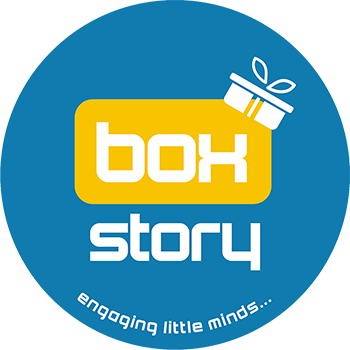 The Site is available only to individuals and others who meet the boxstory terms of eligibility, who have been issued a valid credit/debit card by a bank acceptable to boxstory, whose applications are acceptable to boxstory and who have authorized boxstory to process a charge or charges on their credit/debit card in the amount of the total purchase price for the merchandise which they purchase. Wereserves the right to restrict multiple quantities of an item being shipped to any one customer or postal address. By making an offer to purchase merchandise you expressly authorize us to perform credit checks and where boxstory feels necessary, to transmit or to obtain information (including any updated information) about you to or from third parties, including but not limited to your credit/debit card number or credit reports (including credit reports for your spouse if you reside in a community property jurisdiction), to authenticate your identity, to validate your credit/debit card, to obtain an initial credit/debit card authorization and to authorize individual purchase transactions. Furthermore, you agree that we may use Personal Information provided by you in order to conduct appropriate anti fraud checks. Personal Information that you provide may be disclosed to a credit reference or fraud prevention agency, which may keep a record of that information. Boxstory may change the terms that govern your use of our “website”. Your use of our “website” following any such change constitutes your agreement to follow and be bound by the terms as changed boxstory may also change, add, move or delete portions of the “website” without notice. The prices displayed on the “website” are quoted either in AED(Arab Emirates Dirhams) . We do Not ship internationally and Local courier charges will be applied over and above the selling price. In some cases, we might waive off the shipping charges, please check when adding to cart and after selecting the shipping country of destination. Subscription boxes are fixed every month and cannot be changed. We have a freshness and hygeine policy due to which, goods once sold cannot be returned or exchanged. However, in the unlikely instance that you receive a damaged product, please get back to us within 3 days for a swift exchange. You expressly consent that we may use the personal data you have given to us in the order or on the “website” solely for the purpose of this Agreement, for making services available to you, for marketing our products and services to you, and to disclose to other third parties, such as our suppliers, for order fulfillment only. You may choose to opt out of receiving future mails. We will not rent or sell your personal data to third parties for any purpose.